One of my favorite things about this time of year is getting to dress up and pick out a few dresses I wouldn't normally wear. It's always fun to pick out an outfit for a special occasion like Christmas or New Years Eve. 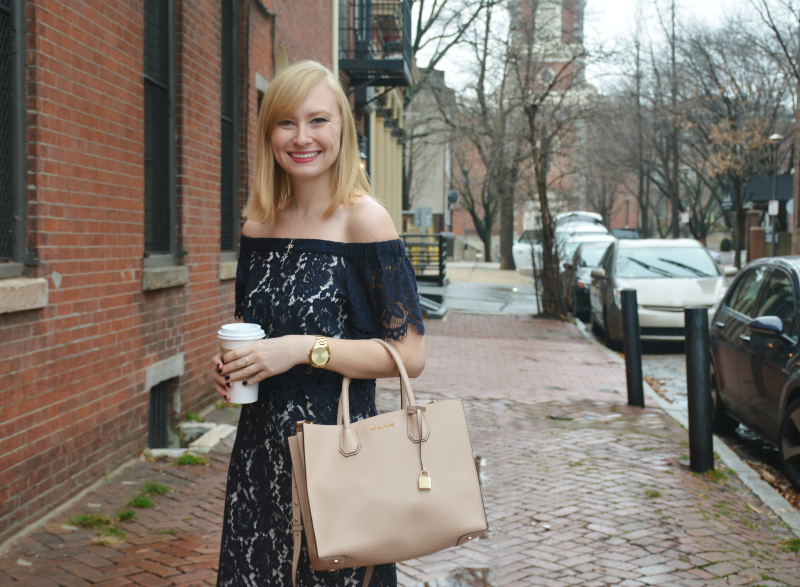 I picked up this dress from a nearby local boutique here in Philly called Lost & Found. They had so many adorable options, it was hard to choose - but you can't go wrong with a mix of a classic and a current piece, right? 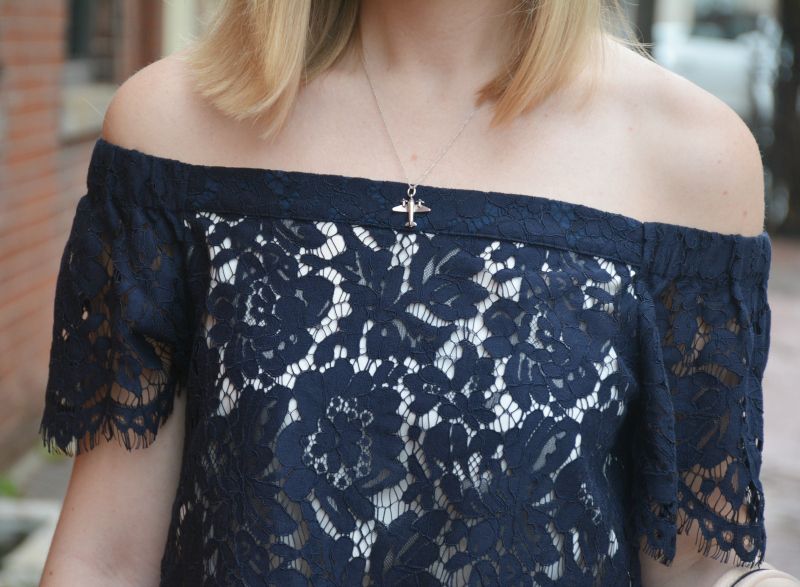 Lace will forever work for special occasions, while the off-the-shoulder look is a current trend that seems like it will be sticking around for a little bit longer. I wore this to our family Christmas Eve party, but this look could totally work for New Years Eve as well! Take a look at a few of my other New Years Eve picks below. 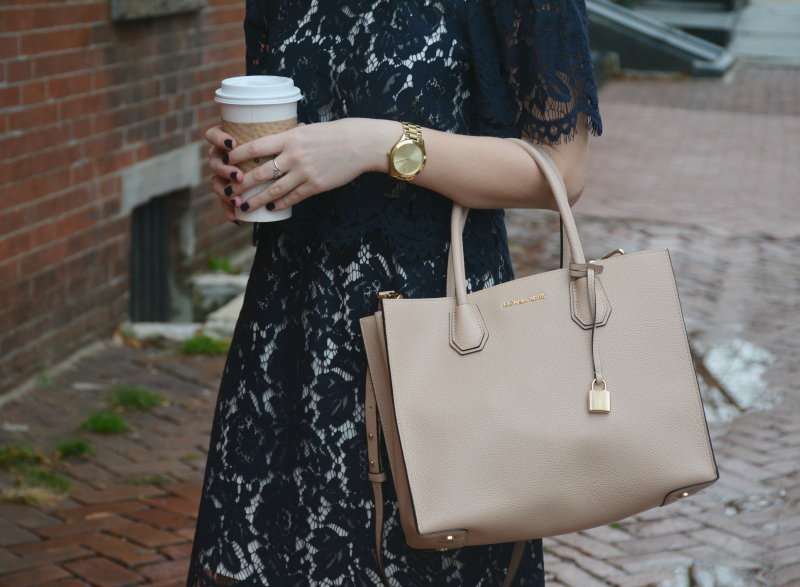 Also, this Michael Kors bag was a lovely gift from Derek for Christmas and I can't get enough of it! I'm so excited to wear it everyday, and it will be the perfect bag to take along for my upcoming trip to Paris in a few weeks. I love the combination of navy and oyster too - such a pretty and classic color combo. You look fabulous! I love that dress!